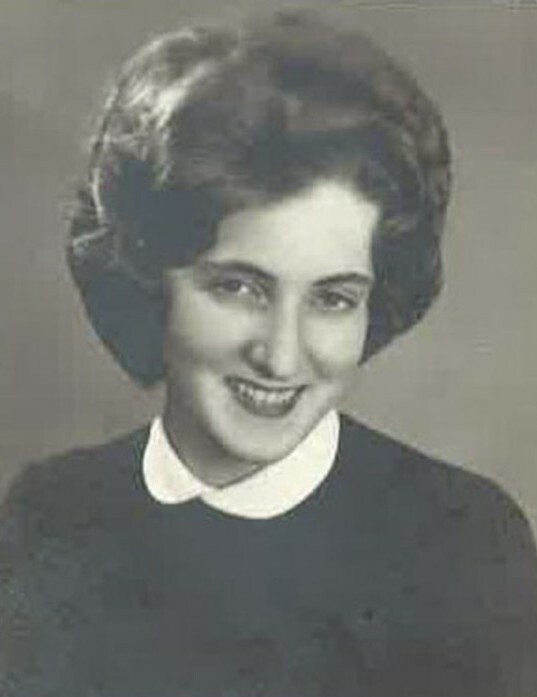 Urania Apostolou, 71 years, of Drobeta Turnu Severin, passed away on Tuesday, September 11, 2018 in Leawood, KS. Visitation will be from 5-7 pm on Wednesday, September 12th followed by funeral service at Holy Trinity Orthodox Church at 11901 Pflumm Road, Overland Park, KS. Liturgical burial service will be held at 10 am on Thursday, September 13th at Holy Trinity Orthodox Church with Fr. Timothy Sawchak officiating. Burial will follow at Resurrection Catholic Cemetery, 83rd Street & Quivira Road, Lenexa, KS 66214. Arrangements are by Johnson County Funeral Chapel. Urania is preceded in death by her parents, George & Demetra. Urania is survived by her daughter Laura Tandara-Kuhns, husband Peter and grandchildren Alec and Zack, her daughter Adriana Sarris, husband Grant and grandchildren Olivia, Sofia, Peter & Emma, her son Lucian Tandara, wife Martha and grandchild Ellie, her granddaughter Trinity, and her sister Irina Popescu. Pallbearers will be Lucian Tandara, Peter Sarris, Grant Sarris, Alec Tandara-Kuhns, Zachary Tandara-Kuhns, Peter Tandara-Kuhns. Urania’s wish is that all memorial funds be given to Holy Trinity Orthodox Church, 11901 Pflumm Road, Overland Park, KS 66213 and to Holy Archangel Michael & All Angels Skete, 28650 105th Street, Weatherby, MO 64497. The family of Tandara-Kuhns, Sarris and Tandara, wishes to extend our sincere thanks to our family, friends and to Crossroads Hospice. Our mother and grandmother lived her life for God and for her family. Through her faith and continual prayers to our Lord, she helped in bringing our family out of communist Romania and to the freedom of our current life in the United States of America. In doing so, she sacrificed leaving her family and friends in Romania and her medical career as a dentist. Starting over in a foreign land had many challenges. Urania helped support our family by working as a cook, a dishwasher and even babysitting and housekeeping. At nights she attended class at Donnelly College for learning the English language. To reestablish her career in dentistry, she returned to school and received her Bachelor of Science in Dental Hygiene at the age of 47. Her love of her profession and her dedication to helping other culminated in her volunteering to go to an orphanage in Guatemala for six years. During those trips, the many tooth extractions she performed earned her the nickname “Extraction Action”. One of Urania’s greatest joy in her early days in America was when walking through her Kansas City, KS neighborhood, she first saw the onion shaped dome of a church with the Orthodox cross at the top. Holy Trinity Orthodox Church was originally founded by the Russian community of Strawberry Hill and she has been a member of it for over 35 years. She always felt blessed with each of her grandchildren and loved being part of their life and caring for them. Mom and Grandma (Maia) thank you for your love, your sacrifices and for all the wonderful meals you loved to make for us all.